Information used in this gallery came from a book by Bernard L. Gontana, "A Gift of Angels-The Art of Mission San Xavier Del Bac". A two-century old Spanish church south of Tucson a.k.a. "White Dove of the desert". It has been white since the early part of the 20th century. 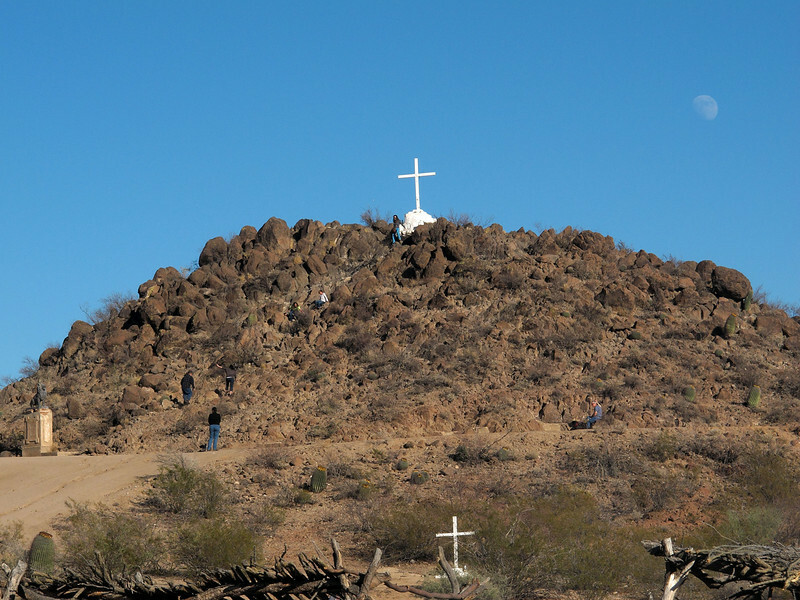 In 1692 a Jesuit missionary, Eusebio Grancisco Kino, rode into the large O'odham village, which he christened with the name of his patron saint, Grancis Xavier. Building began in 1783 and ceased in 1797 when borrowed money was used up. It was opened for sevices and the east bell tower(one on your right) and a few other areas were left incomplete. The mission represents "one of the final expressions of the ultrabaroque in New Spain". The cemetery to the east of the mission.